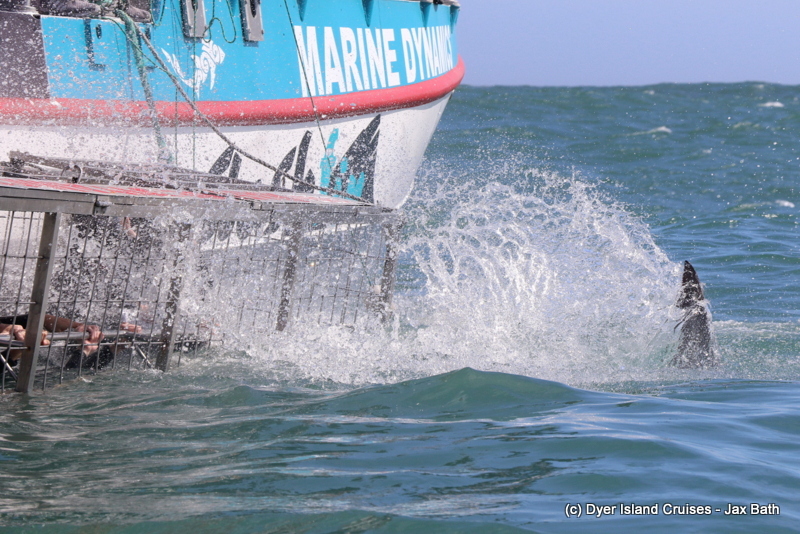 With an easterly wind blowing, we set out on Whale Whisperer at around lunch time today, heading out to enjoy the salty sea spray and to catch up with some animals. Heading out the harbour was an adventurous ride, with a touch of swell pushing through, which made for an exciting start to our tour. 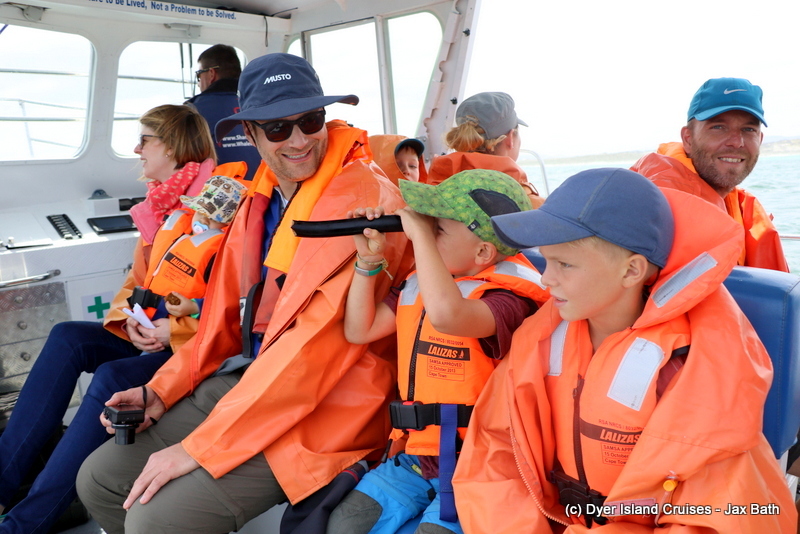 We decided then that we would travel to the Uilenkraalsmond estuary, moving toward the beach and scanning along the Coastline. 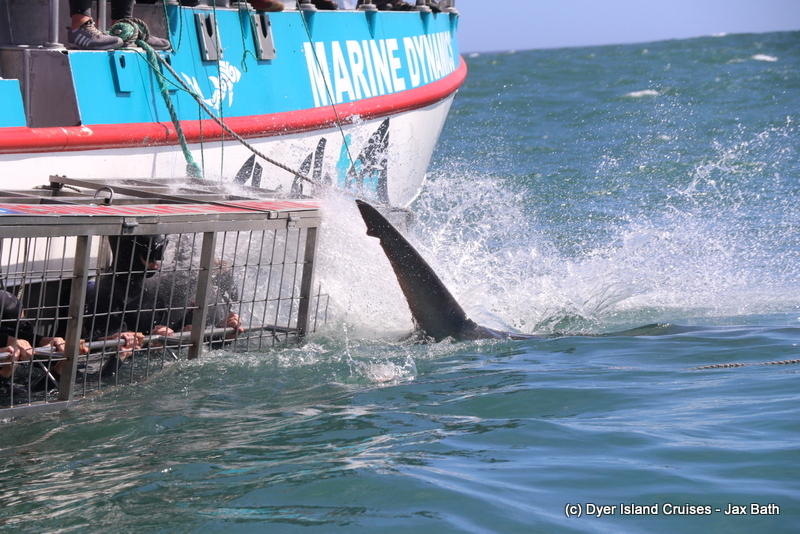 We travelled past the sandy beaches of Die Grys and Franskraal and up past the area where we do our Shark Cage diving. Activity was a little slower here, so we decided we’d revisit them a little later on during the tour. We also picked up a piece of Sea Bamboo in this vicinity, with everyone tasting this fast growing seaweed as we made our way on towards Dyer Island. 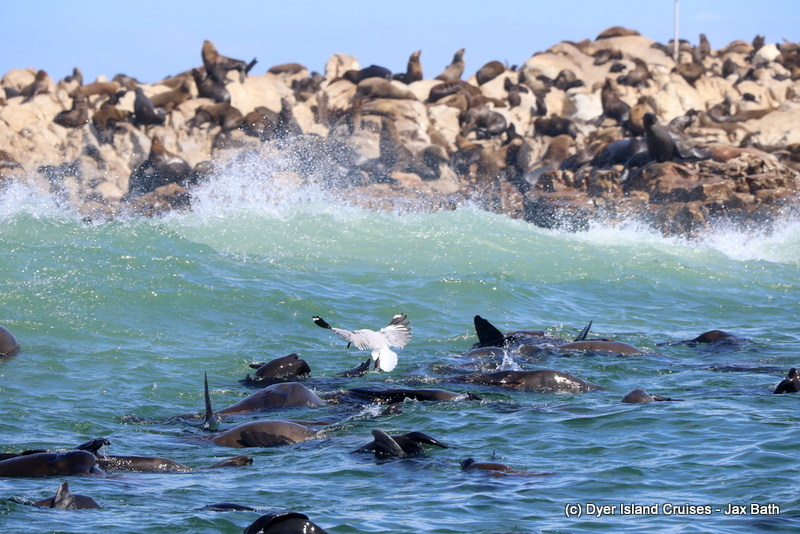 The Kelp grows along the Reef System and makes for a great buffer for our bay. We then took a stop at Dyer Island where we went back in time to where people first started to utilize this birding paradise. From seal clubbing to guano harvesting to conservation, this island and certainly seen many different uses over the last 2 centauries. We also tried to take a stop in Sponge bay to point out our African Penguin, although they seemed to be playing hide and seek with us, camouflaging between the boulders. 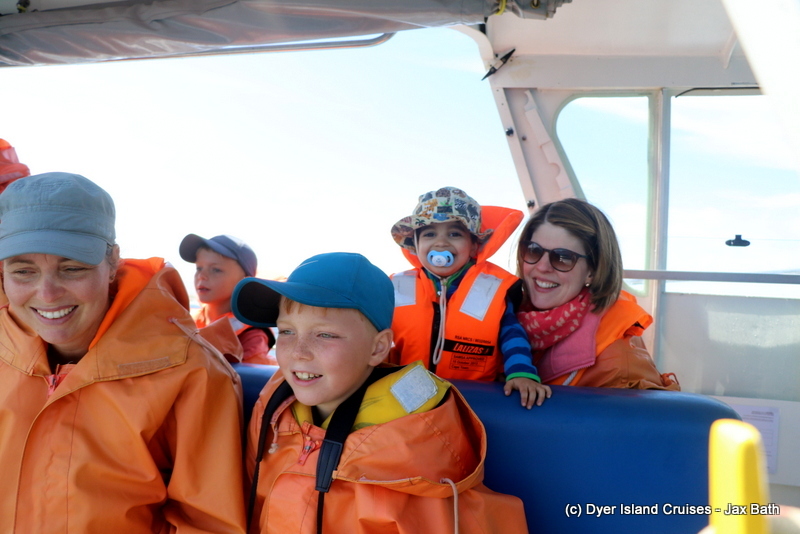 Next, we embarked on another rollercoaster ride through shark alley and to our Cape Fur Seal colony, where everyone got to enjoy the sights, sounds and smells and 60 000 sea Labradors hanging about their home. We had lots of seals enjoying the cool Atlantic ocean, playing and cooling down and jumping about. 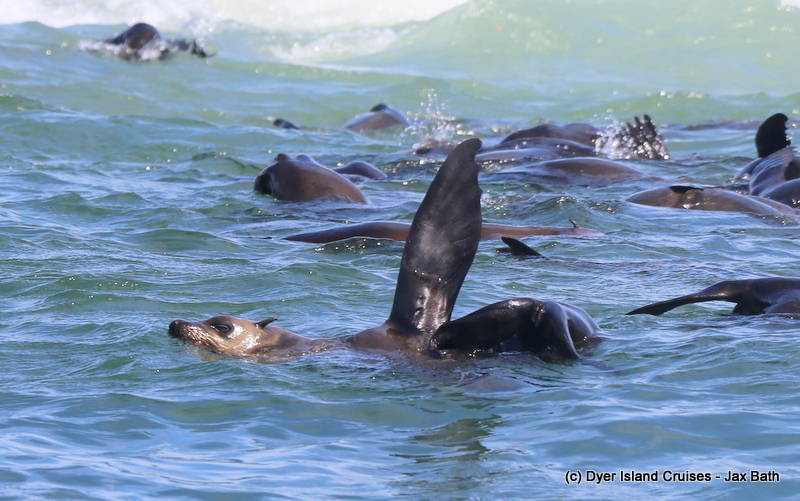 The baby seals were in and amongst the mix, becoming stronger swimmers by the day. Soon, these babies will be heading out further and further past their home to do some fishing. 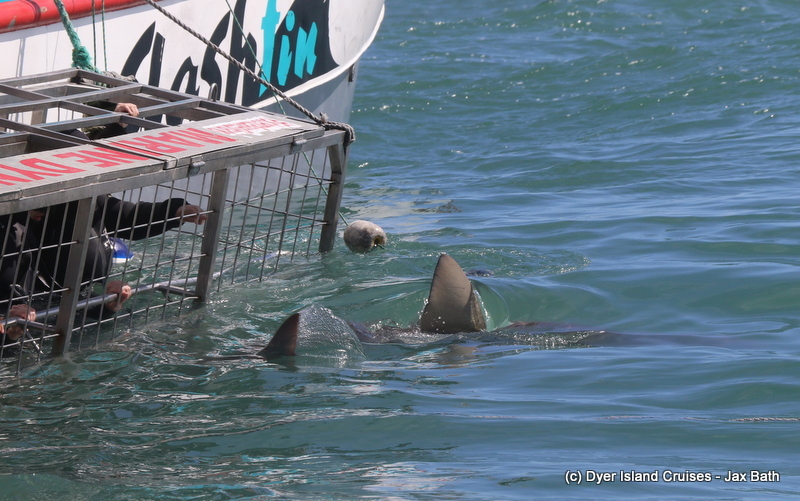 After an awesome time doing some Cape Fur Seal watching, it was decided that we would give the shark cage diving boats another shot, and after a long wait, our patience was rewarded with the sight of a beautiful Copper Shark emerging from below the surface. All in all, a fantastic day at sea. 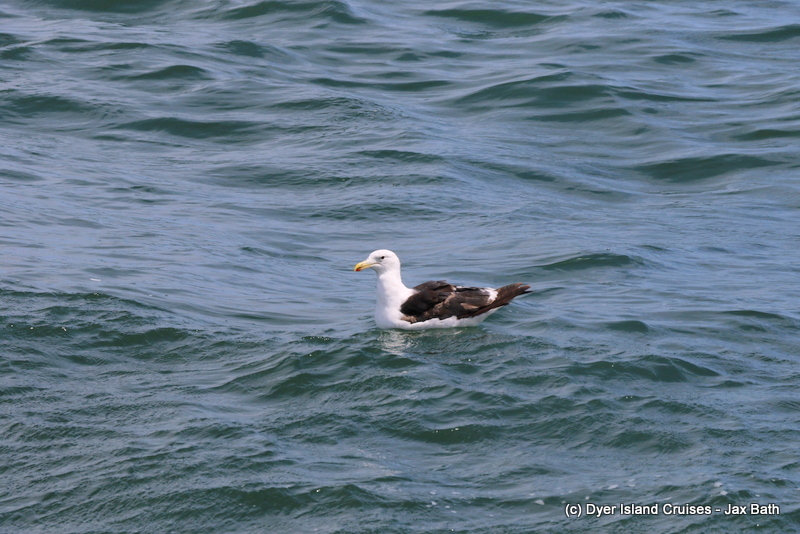 A Kelp Gull hanging out close to Slashfin. 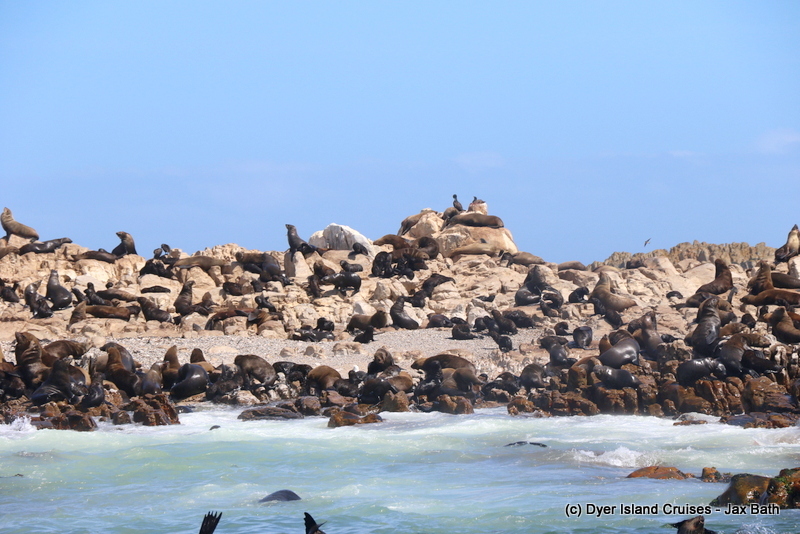 The Cape Fur Seals of Geyser Rock. 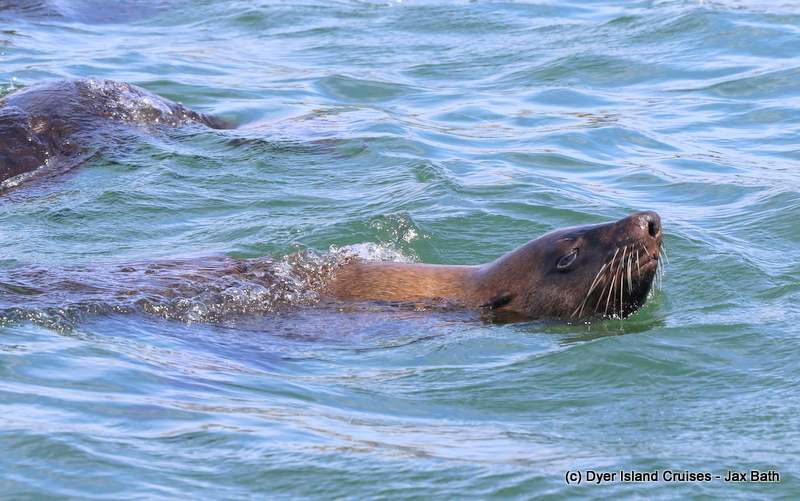 A nosy seal checking us out. The tide was very high today, causing some interesting wave breaks on the island. 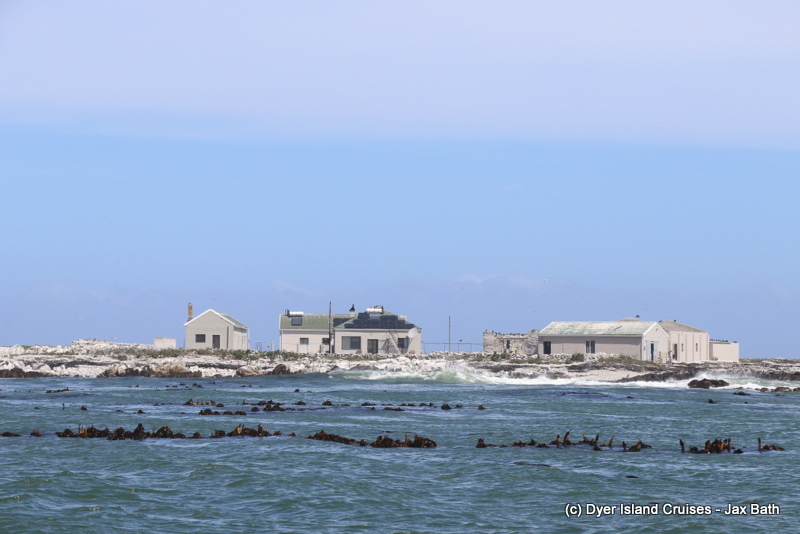 Dyer Island and its houses. A much anticipated Copper Shark. The tail of A Copper Shark.